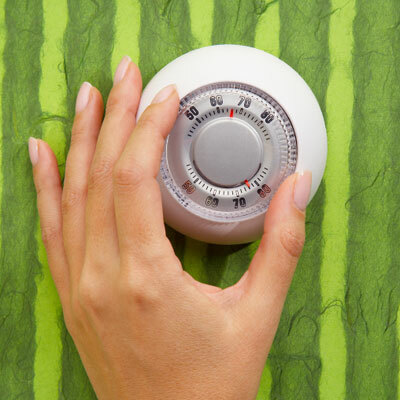 Tips for Keeping the House Cool | Martin Air of SW FL, Inc.
Martin Air of SW FL, Inc. Thinking in how to keep your house as cool as possible during these hot days? Is it winter yet? Is December!! WHERE IS THE COLD WEATHER??!? Those window fans, for example, should they be placed to draw air in or out? Upwind or downwind of the dwelling? And what about windows, shades, and awnings? Are windows on the North side of the house better left closed or open during the day? Are awnings better than shades? Efficient cooling saves money, energy, and the quality of our lives. Here, tricks about how to keep a house cool. These tips are really useful. Reduce the cooling load by employing cost-effective conservation measures. Provide effective shade for east and west windows. When possible, delay heat-generating activities such as dishwashing until evening on hot days. Over most of the cooling season, keep the house closed tight during the day. Don’t let in unwanted heat and humidity. Ventilate at night either naturally or with fans. You can help get rid of unwanted heat through ventilation if the temperature of the incoming air is 77 F or lower. (This strategy works most effectively at night and on cooler days.) Window fans for ventilation are a good option if used properly. They should be located on the downwind side of the house facing out. A window should be open in each room. Interior doors must remain open to allow air flow. Use ceiling fans to increase comfort levels at higher thermostat settings. The standard human comfort range for light clothing in the summer is between 72 F and 78 F. To extend the comfort range to 82 F, you need a breeze of about 2.5 ft/sec or 1.7 mph. A sow-turning ceiling-mounted paddle fan can easily provide this air flow. In hot climates, plant shade trees around the house. Don’t plant trees on the South if you want to benefit from passive solar heating in the winter. If you have an older central air conditioner, consider replacing the outdoor compressor with a modern, high-efficiency unit. Make sure that it is properly matched to the indoor unit. If you need help with this give Martin Air of SWFL a call… we can help you! If buying a new air conditioner, be sure that it is properly sized. Get assistance from an energy auditor or air conditioning contractor. Martin Air of SWFL is the company you need! Buy a high-efficiency air conditioner: for room air conditioners, the energy efficiency ratio (EER) rating should be above 10; for central air conditioners, look for a seasonal energy efficiency ratio (SEER) rating above 12. In hot, humid climates, make sure that the air conditioner you buy will adequately get rid of high humidity. Models with variable or multi-speed blowers are generally best. Try to keep moisture sources out of the house. Seal all air conditioner ducts, and insulate ducts that run through unheated basements, crawl spaces, and attics. Keep the thermostat set at 78 degrees F or higher if using ceiling fans. Don’t air-condition unused rooms. Maintain your air conditioners properly to maximize efficiency. Install white window shades or mini-blinds. Mini-blinds can reduce solar heat gain by 40-50 percent. Close south and west-facing curtains during the day for any window that gets direct sunlight. Keep these windows closed, too. Install awnings on south-facing windows, where there’s insufficient roof overhang to provide shade. Hang tightly woven screens or bamboo shades outside the window during the summer to stop 60 to 80 percent of the sun’s heat from getting to the windows. Consider exotic infills in your windows, a new technology that fills the space between panes with krypton or argon, gasses that have lower conductivity than air, and which boost R-values. Provide shade for your room A/C, or the outside half of your central A/C if at all possible. This will increase the unit’s efficiency by 5 percent to 10 percent. Clean your A/C’s air filter every month during cooling season. Normal dust build-up can reduce air flow by 1 percent per week. Turn off your A/C when you leave for more than an hour. Several studies have found that most central air conditioning systems are oversized by 50 percent or more.